École Minerva was founded in 1949 in the Olympic Capital of Lausanne in Switzerland, close to the city centre and Place St. François, the SBB Railway Station and public transport. École Minerva welcomes young adults from the age of 16-18, young students from the age of 18 and adults up to the age of 50. The school offers preparatory, pre-vocational summer courses and trains medical administrative secretaries and medical assistants. With the “Performa” continuous education program the school enables vocational retraining in the paramedical sector. 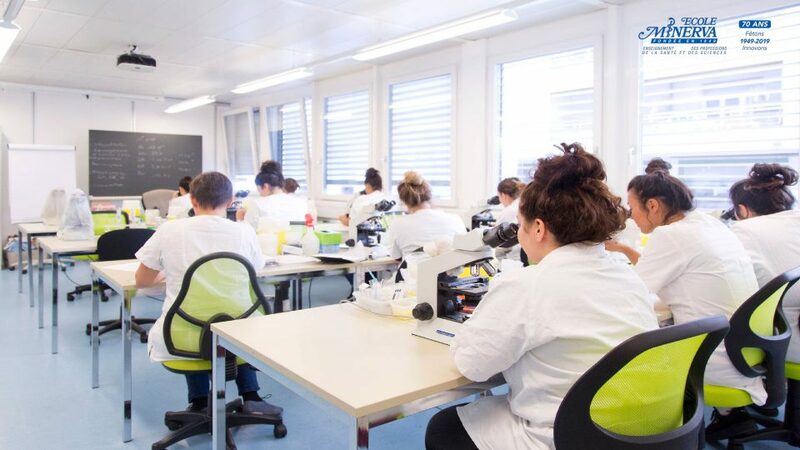 École Minerva is accredited by the Canton of Vaud, with QSC, EduQua and European FEDE quality certifications. The school occupies a surface area of 500 m² with dedicated teaching rooms for both practical and theoretical courses and an on-site cafeteria.